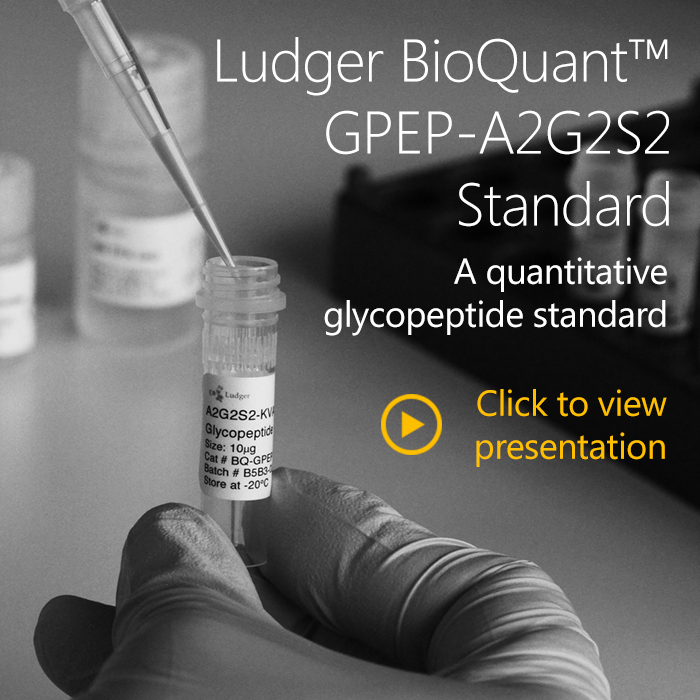 Part of Ludger’s range of System Suitability Standards and Controls, our BioQuant range has been designed for glycan quantitation. 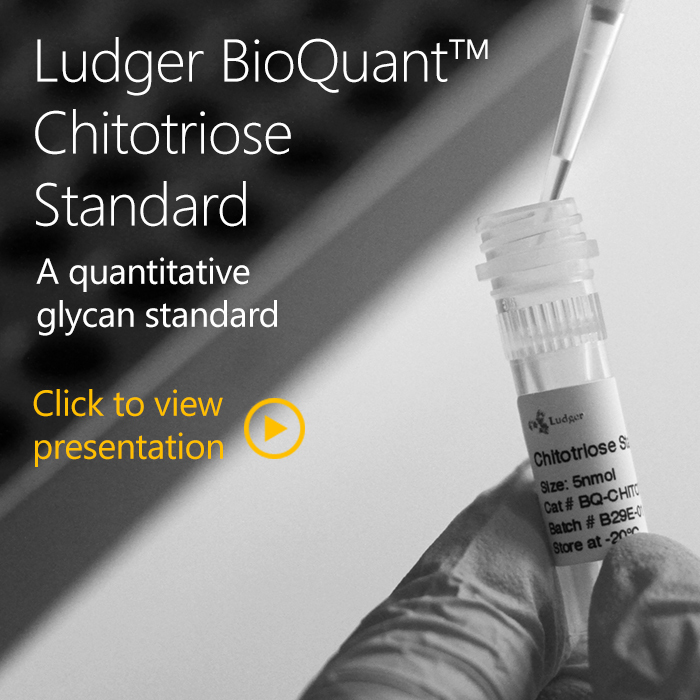 Purity of BioQuant standards is determined as > 90% by UHPLC. Correct mass identity is assessed by MALDI mass spectrometry. The exact amount of material/concentration is determined by quantitative NMR (qNMR) and quantitative monosaccharide analysis (MA). Quantity values by qNMR and MA agree within 90-110%. 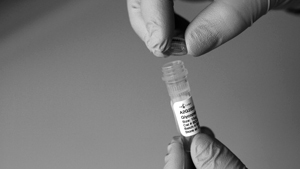 MA is traceable to internationally accepted references from USP and dispensed using NIST traceable labware. 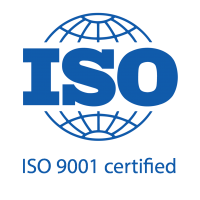 qNMR is traceable to a NIST SRM traceable Certified Reference Material which has been analysed to the ISO 17025 standard. A detailed Certificate of Analysis is given for each BioQuant standard which contains comprehensive documentation, lot-specific values, expiration date and storage information.